High Quality Material: Made of the high quality soft imitation Leather into the main part of the package, soft and firm pu leather made into the top handle. 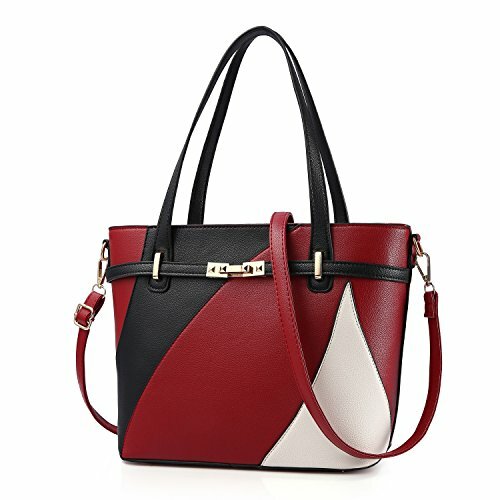 Fashionable Design: The soft leather, clear fashion texture, with simple styling Handbag.Choose from a variety of colors,make it easy to match the outfits. Shoulder Strap: Adjustable shoulder strap design,can be freely adjusted according to each person's different height. Package: 1 Pieces 11.4(L)*5.5(W)*9.8(H)inches handbag.